Key Features: Access to official Movie Content including Character Bios and Videos. 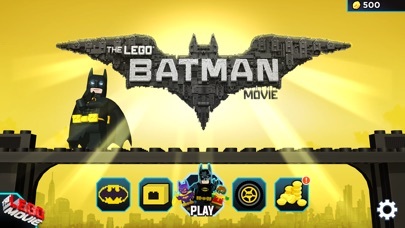 RUN, DRIVE & FLY: Play as LEGO Batman. 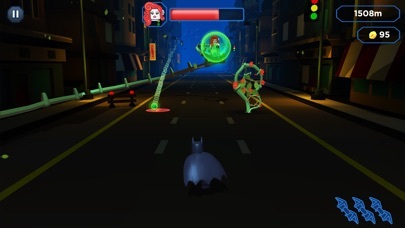 Run, Jump and Grapple across The Bat Cave, The Street and Rooftops of Gotham & Arkham Asylum. Drive your own Batmobile and use the Batwing to fly to new environments! 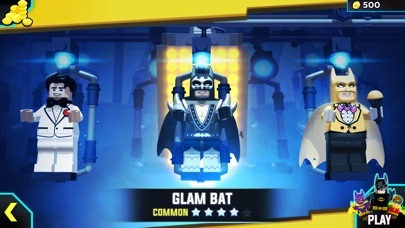 Battle Villain Bosses such as the Joker, the Penguin and Poison Ivy! BUILD A CUSTOM VEHICLE: Customize your vehicles. 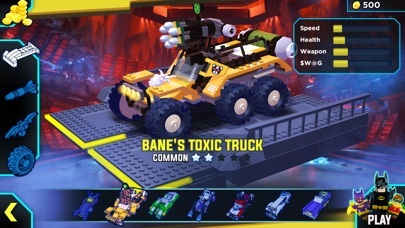 Unlock and modify epic vehicles from The LEGO Batman Movie such as The Batmobile, the Joker’s Notorious Lowrider and Bane’s Toxic Truck. Once modified, deploy them into the game for an added boost to gameplay! Use them to destroy Gotham’s most evil villains! DJ MODE: DJ your way to stardom in the DJ Mini Game. Tap your way to the beat of the rhythm and nail that beat! Featuring music from The LEGO Batman Movie. 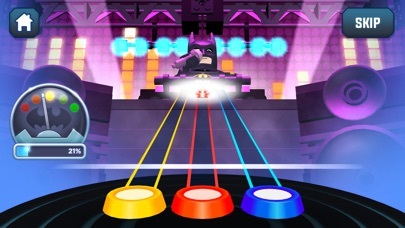 Each time Batman looks like he’s ready to hang up his Batboots he has the opportunity to save himself with DJ MODE! 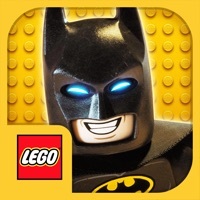 This app contains marketing content for LEGO products and the LEGO Batman Movie.